[S6] G.E. Cokayne; with Vicary Gibbs, H.A. Doubleday, Geoffrey H. White, Duncan Warrand and Lord Howard de Walden, editors, The Complete Peerage of England, Scotland, Ireland, Great Britain and the United Kingdom, Extant, Extinct or Dormant, new ed., 13 volumes in 14 (1910-1959; reprint in 6 volumes, Gloucester, U.K.: Alan Sutton Publishing, 2000), volume I, page 164. Hereinafter cited as The Complete Peerage. [S6] Cokayne, and others, The Complete Peerage, volume III, page 468. Her married name became Cavendish. After her marriage, Amanda Carmen Heywood-Lonsdale was styled as Duchess of Devonshire on 3 May 2004. [S18] Matthew H.C.G., editor, Dictionary of National Biography on CD-ROM (Oxford, U.K.: Oxford University Press, 1995), Cavendish, William. Hereinafter cited as Dictionary of National Biography. She succeeded as the 2nd Baroness Dingwall, of co. Ross [S., 1609] on 28 October 1628.1 Her married name became Butler. After her marriage, Elizabeth Preston, Baroness Dingwall was styled as Countess of Ormonde on 24 February 1633. After her marriage, Elizabeth Preston, Baroness Dingwall was styled as Marchioness of Ormonde on 30 August 1642. After her marriage, Elizabeth Preston, Baroness Dingwall was styled as Duchess of Ormonde on 30 March 1661. [S6] G.E. Cokayne; with Vicary Gibbs, H.A. Doubleday, Geoffrey H. White, Duncan Warrand and Lord Howard de Walden, editors, The Complete Peerage of England, Scotland, Ireland, Great Britain and the United Kingdom, Extant, Extinct or Dormant, new ed., 13 volumes in 14 (1910-1959; reprint in 6 volumes, Gloucester, U.K.: Alan Sutton Publishing, 2000), volume I, page 225. Hereinafter cited as The Complete Peerage. [S6] Cokayne, and others, The Complete Peerage, volume II, page 487. [S6] Cokayne, and others, The Complete Peerage, volume III, page 182. 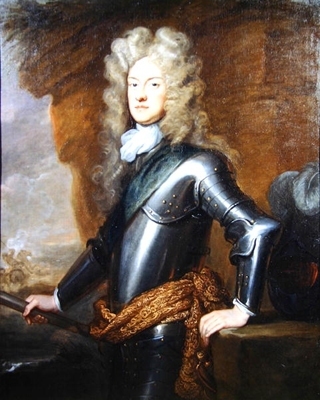 James Butler, 2nd Duke of Ormonde was born on 29 April 1665.1 He was the son of Thomas Butler, 6th Earl of Ossory and Lady Amelia de Nassau.1 He married, firstly, Lady Anne Hyde, daughter of Laurence Hyde, 1st Earl of Rochester and Lady Henrietta Boyle, on 20 July 1682.1 He married, secondly, Lady Mary Somerset, daughter of Henry Somerset, 1st Duke of Beaufort and Mary Capell, on 3 August 1685 at St. Michael's, Great Badminton, Gloucestershire, EnglandG.3 He died on 16 November 1745 at age 80, in exile. [S5360] Rosemary Platts, "re: Great Badminton register," e-mail message to Darryl Roger LUNDY (101053), 13 May 2011. Hereinafter cited as "re: Great Badminton register." [S21] L. G. Pine, The New Extinct Peerage 1884-1971: Containing Extinct, Abeyant, Dormant and Suspended Peerages With Genealogies and Arms (London, U.K.: Heraldry Today, 1972), page 48. Hereinafter cited as The New Extinct Peerage. [S6] G.E. Cokayne; with Vicary Gibbs, H.A. Doubleday, Geoffrey H. White, Duncan Warrand and Lord Howard de Walden, editors, The Complete Peerage of England, Scotland, Ireland, Great Britain and the United Kingdom, Extant, Extinct or Dormant, new ed., 13 volumes in 14 (1910-1959; reprint in 6 volumes, Gloucester, U.K.: Alan Sutton Publishing, 2000), volume I, page 226. Hereinafter cited as The Complete Peerage. [S77] Leslie Stephen, editor, Dictionary of National Biography (London, U.K.: Smith, Elder & Company, 1908), volume III, page 512-17. Hereinafter cited as Dictionary of National Biography. 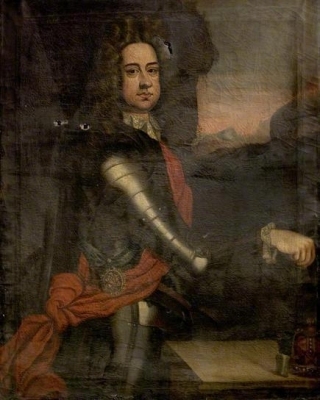 [S6] Cokayne, and others, The Complete Peerage, volume I, page 272.